This product may be suitable for organic crop production. Due to the abundance of certifying agencies, it is the grower's responsibility to ensure this product is suitable for use by their local certifying body. No other claims for suitability are expressed or implied. Here are some useful links to help determine this product's use in organic production. 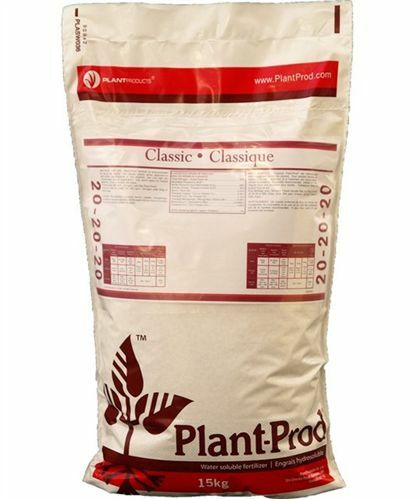 This general purpose water soluble fertilizer is very effective on all types of plants. Its balanced formula may be used whenever a more general formulation is required. Its high percentage of ammoniacal and urea nitrogen will provide rapid green up and leaf expansion while the balanced phosphorous and potassium will encourage root and shoot growth.